On Monday, Priyanka made her political debut with her 12-km roadshow in Lucknow. 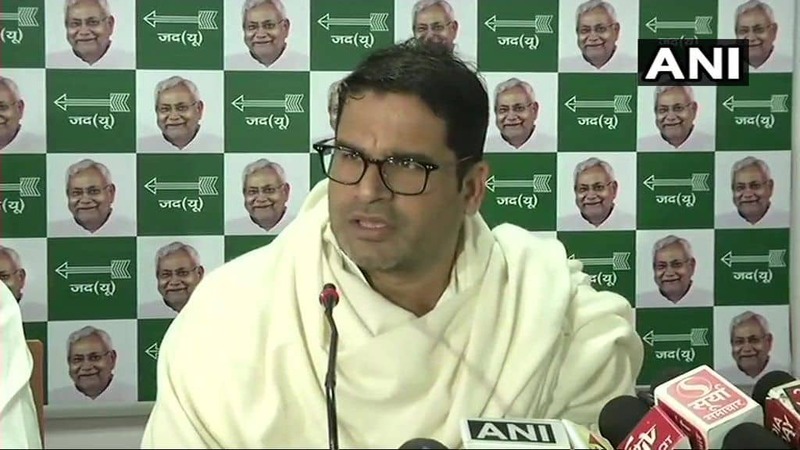 New Delhi: JD(U) leader and election strategist Prashant Kishor has said that Congress general secretary Priyanka Gandhi Vadra may be a big challenge in future but she may not be able to “turn things around” for her party in the upcoming Lok Sabha elections. His statement came after Priyanka made her political debut with a 12-km roadshow in Lucknow. Priyanka Gandhi Vadra received a rousing welcome from party workers at Lucknow airport. Riding in an open truck along with her brother and Congress President Rahul Gandhi on Monday, Priyanka made her political debut amid thousands cheering her first public event. Accompanying them was Jyotiraditya Scindia who waved at the teeming party workers jostling for a glimpse. Meanwhile, asked whether he saw Priyanka emerging as a rival to Congress president and her brother Rahul, Kishor replied in the negative. “Rahul Gandhi is the party president while Priyanka Gandhi Vadra is among the many national general secretaries, but her entry will have an impact in the long run,” he said to PTI. “I had, on record, welcomed her induction into the party. I felt that her active participation could have helped the Congress in Uttar Pradesh Assembly polls. But now it is a different context,” he said. Priyanka is the Congress’ big hope for the 2019 Lok Sabha elections and will be shouldering the responsibility of reviving Congress fortunes, especially in the eastern part of Uttar Pradesh, say party insiders. Priyanka is pitched as a big draw with her charisma and voter connect, but her ‘rescue Congress’ mission remains a daunting task in the state where the party has been pushed to the margins with the advent of caste-based politics since the last 30 years. The last two Lok Sabha by-elections in eastern Uttar Pradesh, for the Gorakhpur and Phulpur, were disastrous for the Congress. Party candidates managed to fetch only around 19,000 votes each and registered only a 2 per cent vote share in each constituency. In 2014, the Congress just managed to retain the Gandhi family constituencies of Amethi and Raebareli, as compared to the 21 it had won five years earlier. The party’s vote share also dropped by almost 50 per cent between 2009 and 2014. Eastern Uttar Pradesh, the area where Priyanka will be active, is presently the stronghold of Uttar Pradesh Chief Minister Yogi Adityanath and Prime Minister Narendra Modi.